The race is a Boston Marathon qualifier and attracts racers from across the nation and around the world. The race was founded in 2003 as a fundraising effort for The Bell Center, a program for developmentally-challenged children. Celebrating 18 years, we're Alabama's premier running weekend! 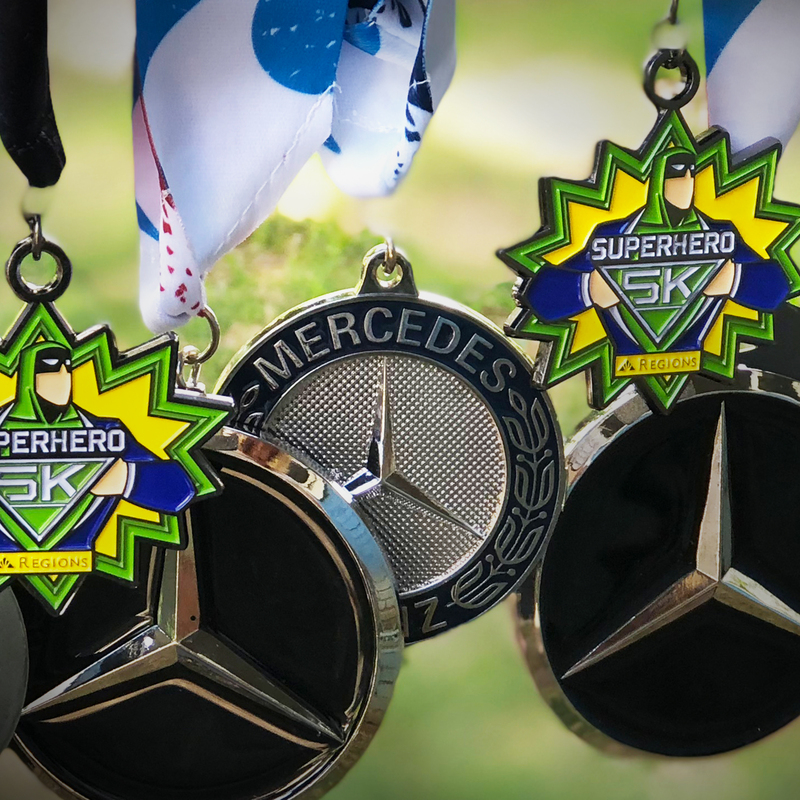 Bring the family and stretch out your legs on Saturday with our Regions Superhero 5K then run or walk one of our well organized Sunday races including the Full marathon,Half Marathon and Marathon Relay. After you cross the finish line on Sunday and receive your Mercedes-Benz hood ornament medal, the celebration begins with our post race party. Lots of BBQ, free beer, free massages, 2 live bands and plenty of dancing if your legs will allow. 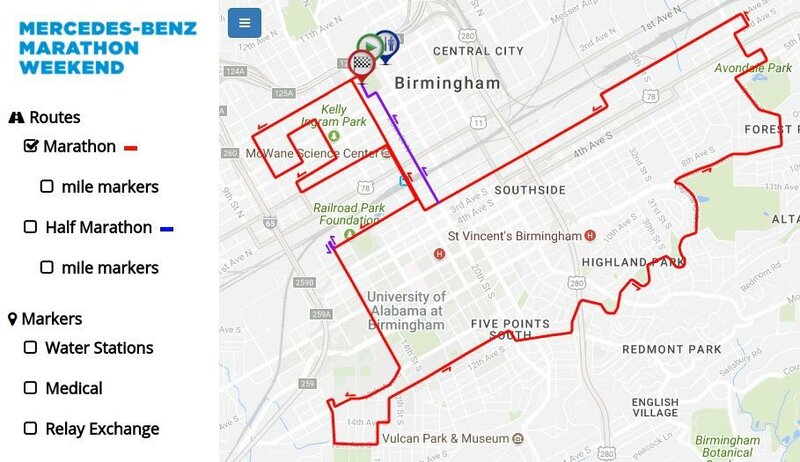 Run Birmingham and walk away with a lot of fun memories and some pretty cool bling! It’s really a love story. The Mercedes-Benz Marathon, a test of endurance and determination, a goal that drives ordinary people to train for months, is really just a love story. It’s a love story between a boy named Matt and his daddy named Paul. Matt was born with Down syndrome seventeen years ago. But not only did he have Down syndrome, he also had the heart defect that often accompanies the diagnosis. A sick little boy, Matt required open heart surgery, and the whole idea frightened his parents, Paul and Cinna Sotherland. Cinna vividly remembers being at UAB hospital with Matt and Paul just before Matt was to have his open heart surgery. The family was standing at one of the big windows at the end of the hallway that looked out over the streets of downtown. Runners, competing in the old Vulcan Marathon, were racing by, and Paul – who ran a little, just for exercise – looked down at his tiny son and made one promise. “You pull through this, Matt, and next year, Daddy will run a marathon for you,” Paul pledged. Tough little Matt kept his end of the bargain, and Daddy began training. Together they tackled the challenges ahead: Matt’s challenges that come as a part of the Down syndrome diagnosis, and Paul’s determination to run 26.2 miles in honor of the son he so loves. During his training, Paul looked for guidance and motivation, and even good running shoes, from Valerie McLean, the owner of The Trak Shak running shops. Paul did run the Vulcan Marathon the next year, and then kept on running, completing nineteen marathons and half marathons too numerous to count. But it was really Valerie who took the inspiration from Paul and Matt. She helped organize a half-marathon to benefit The Early Intervention Program (now The Bell Center), the place where Cinna and Paul brought Matt to receive critical therapies, and over the next five years, the Freeze Your Half Off Half-Marathon grew into a first-class event. Valerie knew it was time to take the event to a greater level, and in 2002 transformed the Freeze Your Half Off into the Mercedes-Benz Marathon and Half Marathon. Proceeds from the event are given annually to The Bell Center for Early Intervention Programs. During its second year, the Mercedes-Benz Marathon hosted the 2003 USA Men’s Marathon Championships in preparation for hosting the 2004 USA Men’s Marathon Olympic Trials. Using a multi-loop course proved to be an exciting venue for both athletes and spectators alike. The loop course idea was so successful, that both the New York and Boston Marathons used loop courses for the 2008 USA Men’s & Women’s Marathon Olympic Trials. 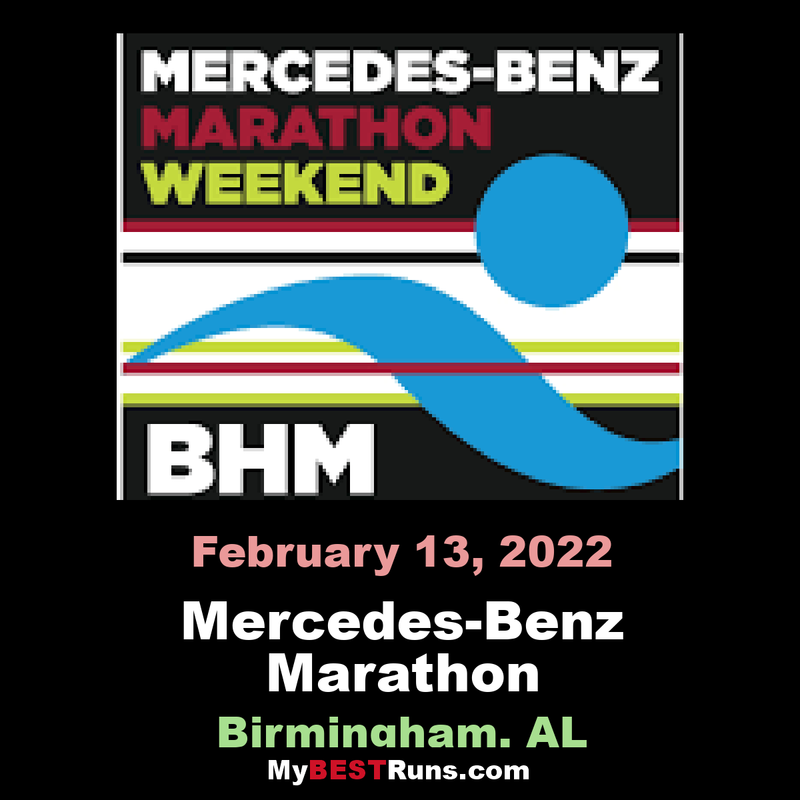 Now in its 18th year, the Mercedes-Benz Marathon Weekend of events has become a Birmingham tradition. The event has helped raise millions of dollars for local charities throughout its 17 year history. All of that is important, but it really is just a love story.